Our stunning personalised chiffon is a real essential for fashion designers. With its beautiful, floaty and lightweight finish, our gorgeous customised Paris Chiffon can be personalised with your photos and designs. 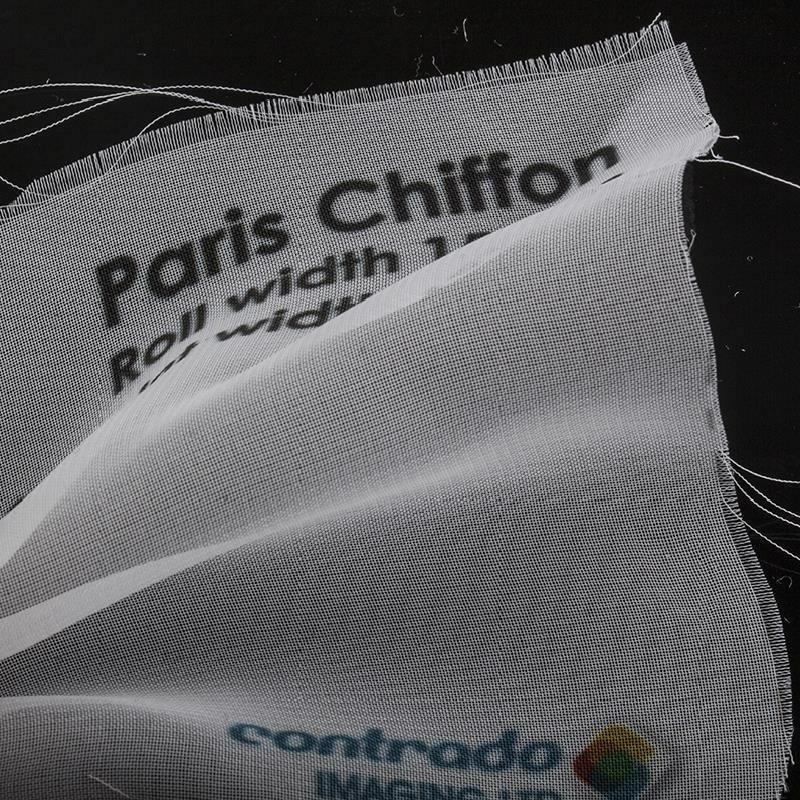 We will print your images onto the chiffon, to create a bespoke piece of fabric. Ideal for dressmakers and for delicate blouses and lingerie. Perfect for lightweight dresses and blouses thanks to it's floaty nature. Personalised chiffon allows air to pass through it easily thanks to it's net like weave, making it an ideal material for summer wear. The neoprene prints came out great. The image was clear and the colours were lovely. A rough edge here or there on the edges from the cuts but you have to cut them, so I can't really complain about that. Anyone who would complain shouldn't be looking for cut-price printing. You guys did a great job.